This page is dedicated to our friends we have temporarily lost, but will never forget. We will carry them in our hearts until we cam be together again. The day after Nova arrived at my home, I took her with me for a walk. We climbed a small hill, and as I neared the top, I lost my footing and landed on my backside. Nova was instantly in front of me and lay down against my legs preventing me from sliding any further. Although I was not in any serious danger as it was only a little hill, her response was both genuine and heart warming. As I grew to know Nova more, I learned that this was who she was. Though Nova came to us as an adult, she loved and respected us as though we had raised her from birth. No one could ever ask for a better dog or a more faithful friend. She was loyal, obedient, loving, trusting–she was a great friend. Nova was strong and confident, beautiful and sweet. Nova blessed our lives greatly by being with us. 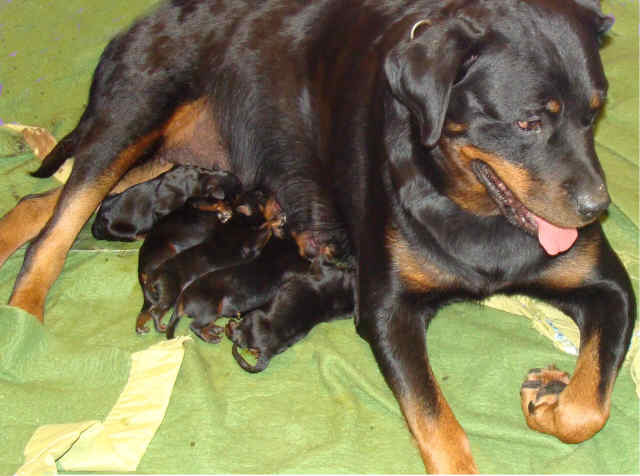 She was truly a Guardian Rottweiler in every sense and she is missed terribly. 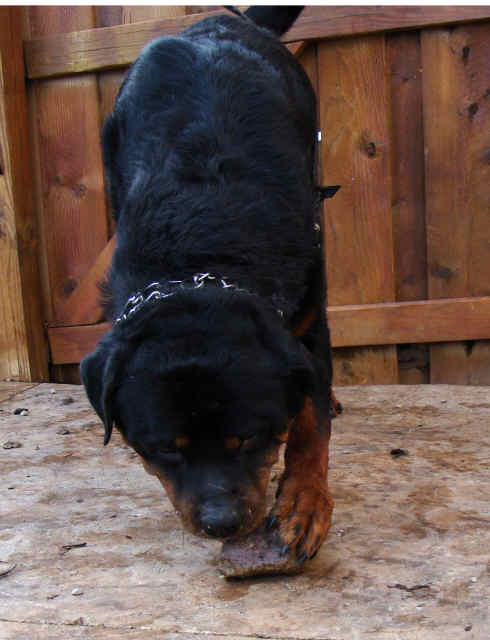 Ulan was such a special Rottweiler- no one that has ever met him will ever forget him. He was the largest, strongest male I have every handled and certainly one of the most proud. But he had the biggest heart and once you proved yourself worthy of his respect, he was the most faithful and loyal friend you could ever ask for. When my husband flew to Amsterdam to pick up our Ulan, the airline he was to fly back on went on strike. Ulan and my husband were stuck in the airport in a foreign country for 4 days. They slept on the floor together, washed up in the bathroom together and shared whatever food Miguel could find together. Until the last beat of his enormous heart, he was my Miguel’s best friend. Ulan loved the ladies and his favorite toy was a rock. He would carry large landscaping rocks around like they were tennis balls throwing them for himself and barking at them. Ulan loved kids and loved to cart pull. When he got too weak to carry on and his large sad eyes begged permission to be let go, it was his faithful friend, my husband that took the long walk with him and held him as he passed back to our Father. Ulan left a hole in my heart that can never be filled and will forever be one of my closest friends. We love you and miss you so much big guy. Wait patiently for us and we will run to you at the end of our journey. For a such a little guy who was with us such a very short time, my sweet little Yuki touched my heart so deeply. 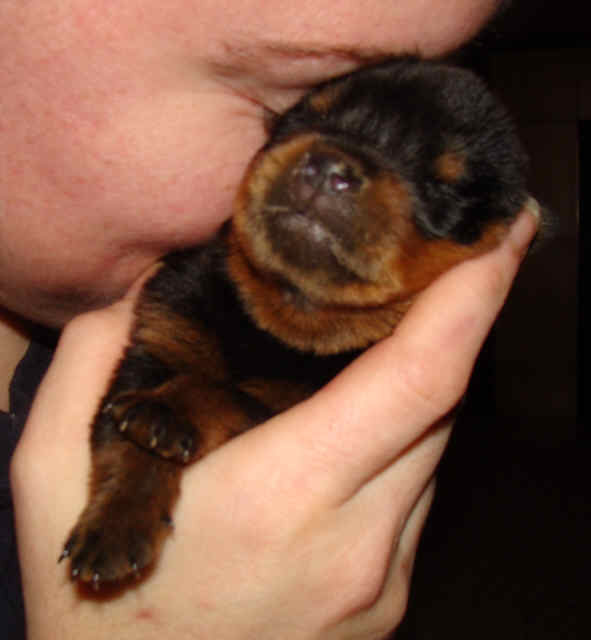 He embodied everything that I treasure most about a Rottweiler- determination against all odds, a never give up attitude, so much braver and stronger than I could ever be, and yet still such a sweet and affectionate puppy. They say it is better to have loved and lost than to have never loved at all, but little Yuki left a huge whole in my heart and I am sure he profoundly effected everyone who had the pleasure of meeting him. God be with you till we meet again my sweet little Yuki. You have some of His greatest creations waiting to run and play with you until we get there.